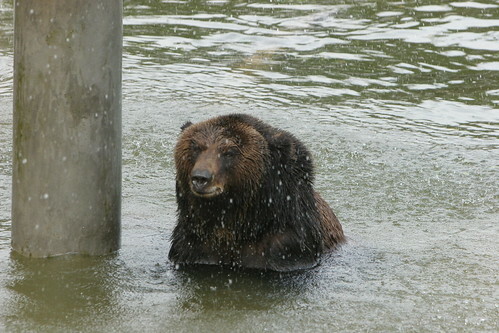 Filmed this week at our China sanctuary - this super slowmo footage of brown bear Caesar captures her shaking herself dry after a leisurely dip... but her previous life was far from idyllic. 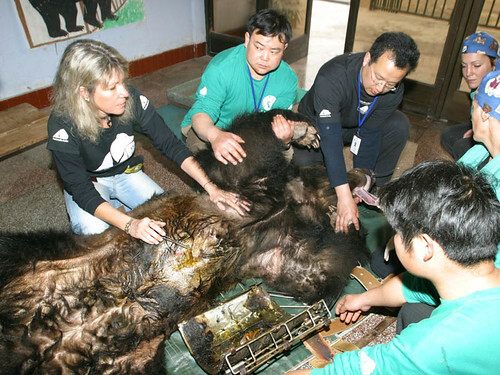 Caesar arrived in 2004 after years spent trapped by a “full metal jacket” - the worst imaginable bile farm torture. The jacket secured a metal box and crude latex catheter that pushed right into her gall bladder, through a wound that was never allowed to heal. Meanwhile her tiny cage meant she had no room to move. Following her rescue, she has now spent a dozen happy years with Animals Asia in Chengdu, enjoying swims in the sunshine as well as indulging her natural digging instincts - particularly when the weather cools in the autumn. This incredible footage of her shaking herself dry shows off her magnificent coat and her full near-300 kilo size. Caesar is a mammoth bear. “Seeing a bear shake themselves like this is always a moment full of awe - they’re such incredibly beautiful, powerful animals and none more so than Caesar. The vast majority of bears farmed for their bile are Asiatic black bears - better known as moon bears - but it’s likely there are many more bears like Caesar out there still trapped in tiny cages. Thanks to behavioural management volunteer Martin Ellebaek for the footage. 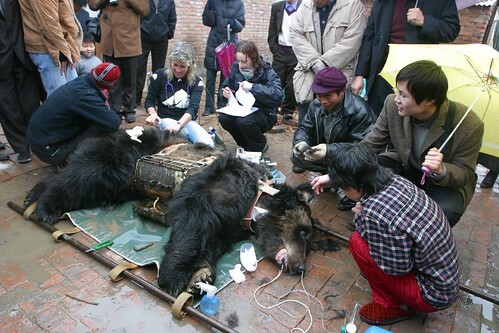 There are still over 10,000 bears trapped in tiny cages on bile farms in China. 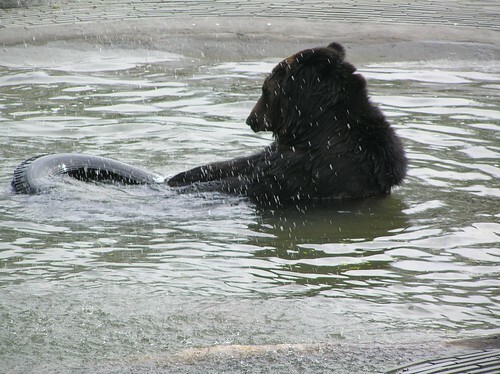 Bear bile is used for traditional medicine.